If you’re anything like me, you’ll be spending January planning and dreaming about your next trip away. And if a weekend break in Ireland is on the cards, then I have somewhere very special to recommend to you today. Relaxed elegance is the name of the game; our (shared) suite was gorgeous, and the facilities are awesome, particularly the spa; we spent a record six hours in its soothing environs. Six hours! Now some of that time was set aside for treatments – my Neom massage was especially divine – but for most of it, we hung out, napped and chatted! On one side you have a really decent sized pool along with a sauna and steam room, and on the other, an impressively large and well equipped thermal suite, with a Jacuzzi, steam baths, Turkish hamam and plenty of heated loungers. And I haven’t even got to my favourite part: the sizeable hydrotherapy pool which is outside, overlooking the river, and completely blissful – even (or should that be especially?) in the rain. With two restaurants and a bar, as well as a spacious lounge serving afternoon tea, there are plenty of options to get fed and watered on site (and a €10 taxi ride or half-hour stroll will take you to the city centre, if that’s what you’d prefer). We ate dinner and breakfast in the hotel, and I had a sambo after check out; the food was great throughout, and the service stellar. 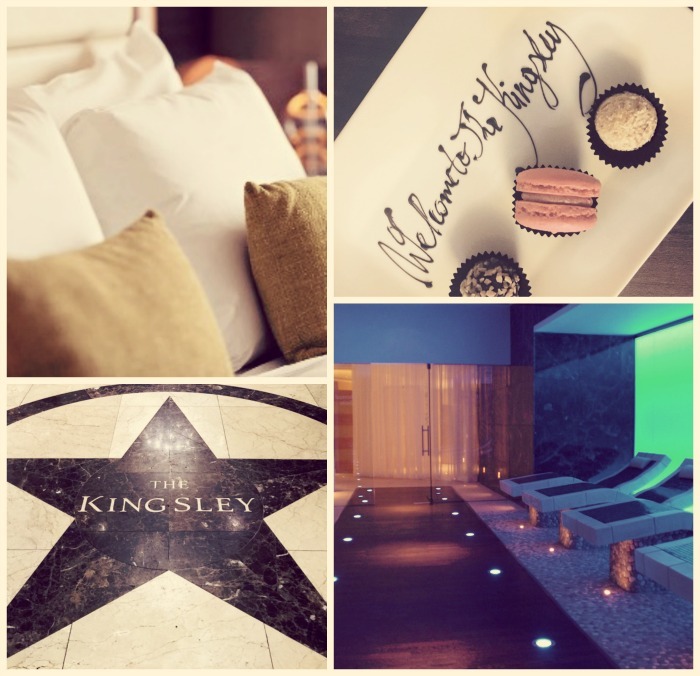 Which brings me nicely to what I think is the real differentiating factor at The Kingsley, and that's the staff. They walk the perfect line between personable and professional (in the way that Ireland does so well); nothing was too much trouble and the phrase we heard most often was “no bother at all”, accompanied by a great big smile. Everyone was unfailingly lovely and helpful, in the face of unusual dietary requirements, requests for corkscrews delivered to the bedroom and demands for pizza at 2 am. * Hell, the concierge even gave me a lift to the train station, when my taxi failed to appear – now that’s service. *They have a late night pizza service, we weren't being totally unreasonable! 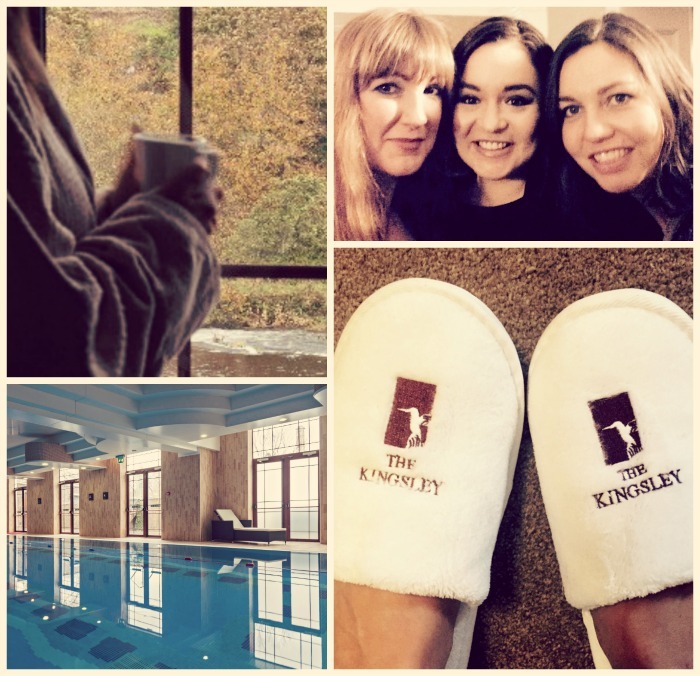 Current offers include the Ultimate 90 minutes Detox package at The Spa at The Kingsley, which includes a matcha green tea polish scrub, green tea body wrap and full body massage. It’s priced at €120 pp throughout January and February; enjoy an overnight for €160 per room, including breakfast, or check out the website for the latest deals. Fluff and Fripperies was a guest of the hotel.